The four churches that make up the 4Saints Team cover a deprived area of Knowsley six miles to the east of Liverpool City centre. They are seeking a Team Rector to lead the clergy and laity to unite behind a vision of seeing a bigger church making a bigger difference. They have an exciting opportunity to lead the team on the next stage of the journey. 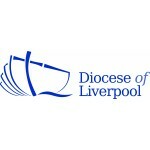 With four churches in the team – St Luke's, St Jude’s, St Mary’s and St George’s – you will find a great deal of variety. As Team Rector, you will also have primary pastoral responsibility for St Luke’s – with a four bedroom vicarage provided for your use – but you will be working alongside the team to minister to the community. The community presents many opportunities for mission which includes Knowsley Safari Park and a children’s hospice and Alder Hey Children’s hospital is nearby. The 4Saints Team was formed in 2014. Alongside the Team Rector are two stipendiary Team Vicars with an evangelist, an SSM curate (at the end of her curacy though), Reader, Deanery Schools and Youth Worker, a pastoral assistant and hub manager. Each church has its own distinctive style but are broadly open evangelical. They seek to serve in practical ways from social action to be a listening ear. They aim to be in the heart of the community. Although they currently pay their parish share they acknowledge the challenges of declining congregations and reduced giving. They are seeking in different ways to address and face these challenge through the bigger church bigger difference vision. The team share much in the way of discipleship and nurture courses and want to develop on the mission activities spurred by a recent diocesan mission event. They are also interested in developing their pastoral care strategy. They are interested in establishing satellite congregations and place a great deal of emphasis on how they can benefit from increasing collaboration between churches. The team are actively working with seven primary schools and a college in the local community. This is how we express our mission.